Just wanted to post what is going on in my life. I apologize I haven’t posted in awhile but life has been busy. I am about to make a big move back to Washington state very soon and the move has a lot of uncertainty so there has been a little stress. It’s time for me to leave North Dakota and in the end it will be for the best so I need to focus on that for a little while. Hopefully I’ll be brewing again soon and working on finishing a few projects that I am looking forward to sharing here. I continue to watch what is happening in home brewing, new developments and some of the new products available. Small batch brewing and brewing in small spaces is still growing in popularity and I think it will continue to be a trend the industry can’t ignore. Why not pursue a hobby regardless of your time or space requirements? Thankfully everyone can with home brewing. On a more serious note I want to talk about your local home brewing supply shops. Many cities are fortunate enough to have one or more. These small businesses are a source for not only brewing supplies but information, ideas, help and provide a feeling of community amongst home brewers. Sadly I am hearing about more and more of these small shops closing. There a lot of reasons a small business closes but nationally, small businesses have been hurt by online shopping and home brew shops are no different. Large online retailers have tremendous buying power that provides them the opportunity to offer lower prices and there is the convenience factor of never having to leave your home. Your local shop may only order a few sacks of 2-row where a large online retailer will order pallets of bags of 2-row. So with just that in mind your LHBS may have higher prices but like all small businesses they have overhead like business insurance, business loan payments, utilities, employee salaries, medical insurance premiums, a house payment, car payment, little junior’s braces and college fund etc. Not to mention often a building lease payment (most home brewing wholesale companies will not allow you to buy from them unless you have an actual store front so no doing business from your garage). Things your LHBS offer that the big online retailers don’t…immediate access to brewing supplies, no shipping costs or waiting. Need a pack of yeast on brew day? They will have you covered. Need a single drilled stopper? They have it for you and you don’t have to pay $10 shipping for that $2 stopper. Have a question or just want to talk about brewing…your LHBS. Many LHBS offer deals for local brewing club members and some even offer their space to host those clubs for meetings. They often have brewing classes. Many will special order something you want but they don’t carry. Some will store that 50 pound sack of 2-row you bought from them, so you don’t have to find a place in your tiny apartment, and then mill it for you at your convenience. They also are the cornerstone for the community feeling us home brewers have. For me I don’t get that feeling of community when I click on the “checkout” button on a website. Local small businesses also put money back into the community and often provides jobs so it is a win win. When I started home brewing in Seattle in 1989 I basically was a regular fixture at the local home brew shop in the Greenwood neighborhood and learned so much. I immediately felt accepted into the hobby. I later helped at another home brew shop and it was rewarding to help new and experienced home brewers. I was fortunate to have lived in a city with a couple great LHBS but then moved to a city with none. I had no choice but to order supplies online and wait. When I did order online I chose an online retailer that is also a small business and not owned by a major corporation. Many LHBS have an online side to their business and that is a bonus to us that live in a town without a local shop. Yes online shopping often saves you money, and brings you many choices that local shopping might not. Those two things have helped the hobby grow but remember many of us began home brewing with a visit to a local home brew shop. The interweb is great for shopping but don’t forget the local home brew supply store in your town, they are home brewers like you and I that took the leap to open a small business to help follow home brewers. Just like we home brewers support craft breweries because most were started by home brewers with a dream, try to support small home brew shops. If you haven’t visited your LHBS, stop in and say hi. With that being said I do occasionally promote or give a plug to an online retailer or specialty business but I only do so because they are small businesses, we can all access, that promotes the hobby, promotes small batch brewing, support their local home brewers and offer great service. I’ll step off my soapbox. As always I appreciate everyone visiting my blog and hope you all get at least a little inspiration from it. Keep brewing, subscribe to the blog updates and stay tuned. If you have been following my blog you have seen some posts on my builds, experiments, tips etc. In some of those posts I have hinted that there is more coming. Well there is…and it’s getting close but not quite yet. Sorry. I am continuing to work a few major projects for my brewing but I like to take my time and think out every angle, every possibility while still enjoying life. There will be posts that detail the projects coming soon. I’ve working on it diligently. I also have been enjoying some great craft beers from breweries here in the midwest (if you are in the Minneapolis area make it a point to stop by the Surly Beer Hall, great beers and awesome food and don’t forget Dangerous Man Brewing). I also did a first for me and started a small batch of hard cider that is almost ready to bottle or keg and I’ve been refining a handful of my favorite beer recipes. I believe and hope the upcoming posts will inspire and create discussion. So what is going to be? What is he building? As you know I am small batch brewer but I am also someone that is trying to downsize my life for a future smaller living space, two things that in some ways might sound like they can restrict brewing and life…that is the “what’s next?” Sometimes you can have your cake and eat it too. I like to brew small batches of varying styles of beer using different methods, some simple and some more complex, so I need adaptability and flexibility in my system and what’s coming will offer that. I want to consolidate and organize my brewing supplies for a smaller space. Having the things I use for brewing handy and in one convenient place is a goal for me and what’s coming will offer that. I have gotten rid of some extra un-needed pieces and can fit my fermenters, kegs and miscellaneous items on a wire shelving unit so I’m getting there. A few things that won’t change…I like to experiment and work on solutions to problems we face as small batch brewers so my mind is always going and I’ll always be tinkering. To give you a little tease of what’s coming here are a couple pictures to get you thinking. Now that we are firmly in 2016 and past the days of accidentally continuing to write 2015 on stuff I can reflect back on 2015. It was my second year in Grand Forks North Dakota which has been a challenge as a home brewer that enjoys tasting new beers and discussing beer and brewing. Grand Forks is still only beginning to embrace beers with flavors and the craft brewing scene but it is getting better. We have a new craft brewery in town, the first, and I truly wish them well. The home brewing scene is still very quiet, not much activity or social events. They’re here but not as active as other cities with very active clubs. This next year for me will be dedicated to preparing to move back to Washington state and I am excited about getting “home”. While the unknowns and challenges of the move are a little scary so was the move here in 2013 and it all worked out. Plus I’ll be back to a state with an incredible beer scene…bonus! 2015 was a fun year for home brewing for me. A new home brew shop opened here and I was able to teach some brewing classes. The cold times of the year, and there are many, gave me time to tinker with new brewing projects/ideas and develop some recipes. It was also a year of sharing my random brewing thoughts with you. Visits to this blog exceeded my wildest dreams when I first ventured into the blogging community with over 100,000 visits to this blog so far. This simple little blog about brewing, that I thought I’d “try”, has become something I enjoy and hope others enjoy. The exposure to my brewing life through the blog also transpired into being featured in BYO magazine this last December, which was a huge honor for me. This upcoming year will be a busy one but I will continue to post and share my brewing with you and hopefully continue to do what I planned from the beginning and that is make fellow brewers think about trying new things. What’s the worst thing that can happen? You’re still making beer! None of us are experts, we can always learn more from each other and there is nothing wrong with trying something different. At first glance of all my brewing stuff the first thought that comes to mind certainly is not “simple” or “minimalist”. While I admittedly tend to over-engineer things I’m building my ultimate goal is simplifying my brewing process and along with that minimizing the brewing equipment I have. A few years ago I realized I had a lot of stuff, stuff I didn’t use any longer and thus didn’t need. That began the process of simplifying and downsizing my life. But wait, I have a hobby that could probably be classified as an obsession and it involves a fair amount of different equipment and “stuff”. Like a lot of home brewers I’ve accumulated a collection of fermenters, mash paddles, long brewing spoons, kettles, corny kegs etc. Not sure how it happens to us since, let’s face it, everything you need to brew a batch of beer comes in one of those home brewing starter kits. When I decided to downsize and simplify my life it was about the same time I made the switch to small batch brewing. Small batch brewing fit my drinking style and desire to brew less each time but to brew more often. Small batch brewing itself goes well with the simple lifestyle and the minimalist idea. The problem for me is that overwhelming need to over-engineer everything like I mentioned before. Always a couple brewing equipment projects in the works, parts for those projects laying around. But I have found that trait is now beneficial, over-engineering is getting me to my ultimate goal of simplifying my brewing process. 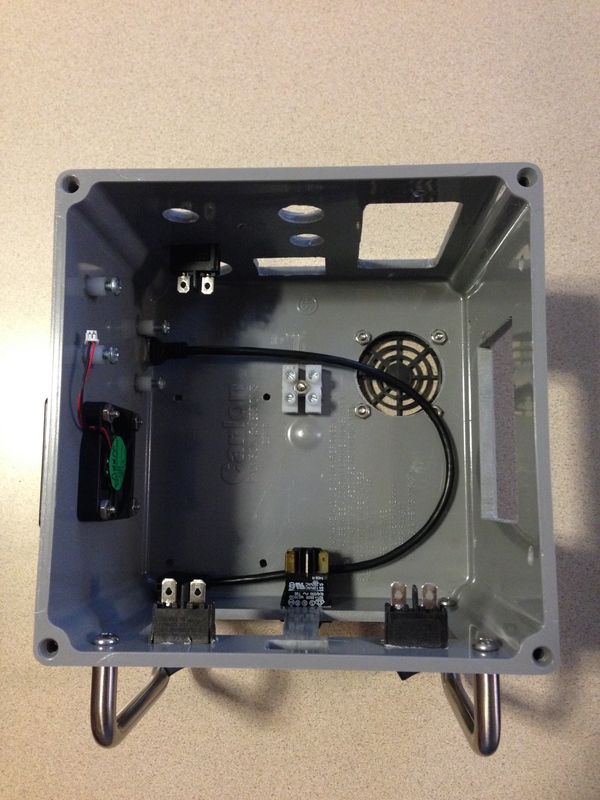 I have focused on creating a small compact, space saving brewing system that fits my own needs. Something that is versatile and efficient. Stay tuned for progress on that build! While I’m brewing I usually take notes, well okay I always take notes. Often it is a recipe idea for the next batch but just as often it is a collection of ideas to improve my brewing process whether it’s temperature control or how to simplify the cleanup process. Regardless what my thought or idea is I now blend in the requirement of reusing things I already have and making it compact and space saving. A few brew sessions ago I was hanging out in my small brewing space/kitchen during the mash and looking at my accumulation of brewing equipment and started thinking…I use the same few pieces of equipment every brew day so I started boxing up stuff I thought I had to have but never really used. Going to sell it and that will fund ingredients for several future recipes. Some of my simplifying and downsizing has given me new tools to help improve my beers like using a small dorm refrigerator as a fermentation chamber that I store my 3 gallon Better Bottle fermenters in between brewing batches. Some of the ideas have had multiple benefits like cleaning my brewing system in place with the pump I use to recirculate wort during the mash. Using my immersion wort chiller as HERMS coil. Adding valves to my Better Bottle PET carboys thus eliminating having to have siphoning equipment. 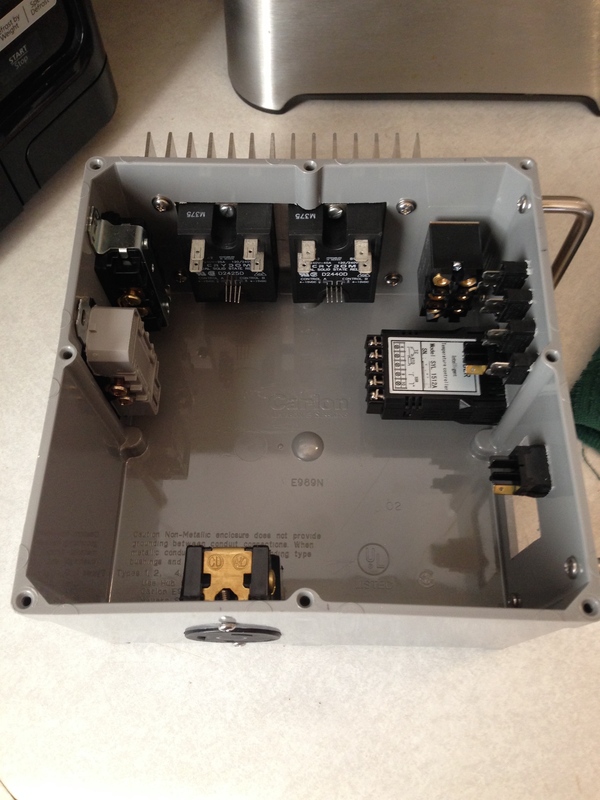 Making my electric brewing controller small enough to store inside the brew kettle. Consolidating equipment onto one shelving rack and a small tool cart I can also use as a brewing stand. I use a clear, tight sealing tote for storing some less frequently used items such as extra silicone tubing, spare hydrometer, bottle capper etc so I can easily see what is in the tote without having to dig through it to find stuff. 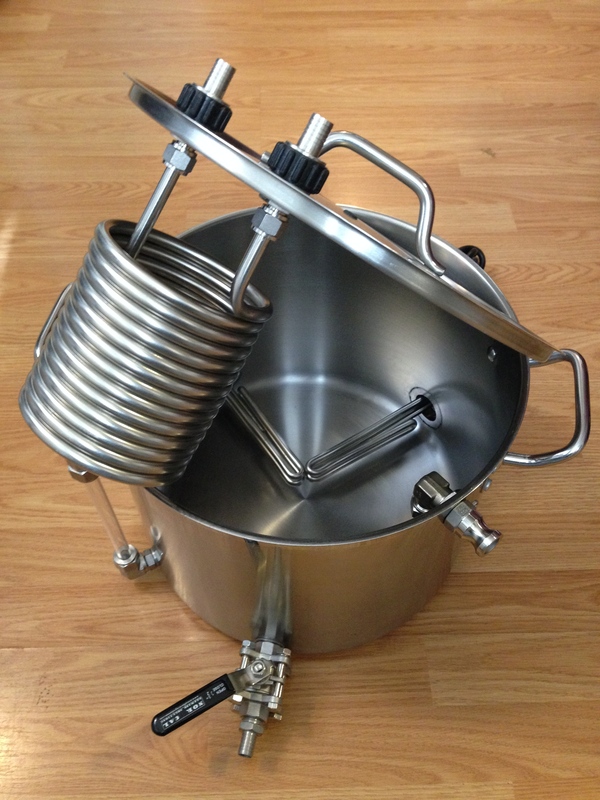 Whether you are a 1 gallon small batch brewer in a tiny studio apartment or have a large dedicated brewing space and brew 10+ gallon batches you can simplify and still improve your brewing. 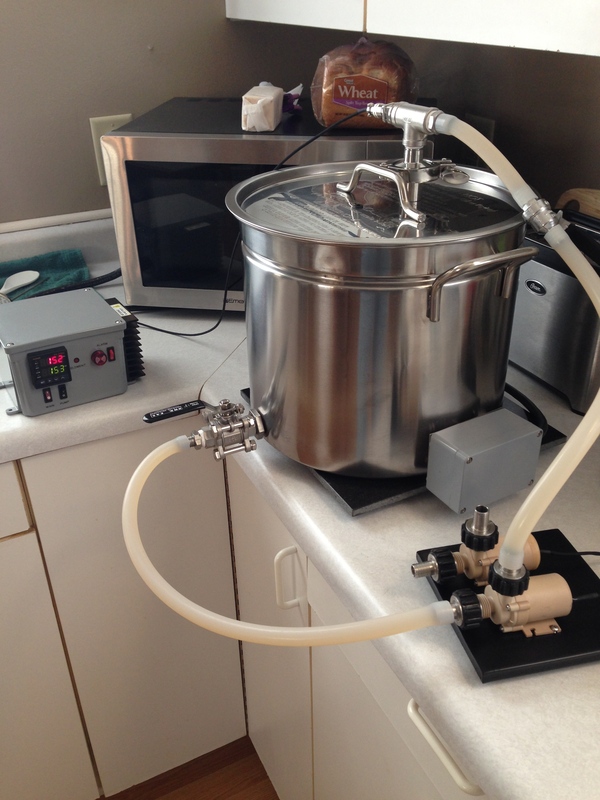 Simplifying home brewing makes home brewing even more enjoyable. Small batch brewing…yes it makes sense. Well looking back over the years of brewing I made the natural progression that most brewers have. I started home brewing in Seattle in the late 80’s doing 5 gallon extract batches. Why? Well that is basically how home brewing has always been set up, recipes were and still are written for 5 gallons, fermenters were sized for 5 gallons etc. After switching to all-grain I saw the logic in stepping up to 10 gallons, if you are gonna spend 4 plus hours brewing why not brew twice as much? Made sense and there was always someone to help drink my beer. A few years back I downsized life and moved into a smaller place but still wanted to brew but decided to stop and re-evaluate my brewing. I was in a smaller place, didn’t have a warm sheltered place to brew in the winter, I wasn’t consuming beer with such fervor and not as many people around to help consume all the beer. On top of that I was really interested in brewing more often but with my life’s restrictions how was I going to make this all work? Brewing smaller batches was the answer! I had the answer but now what? I did some research online to see if this was a somewhat popular practice and at the time it was gaining some momentum. 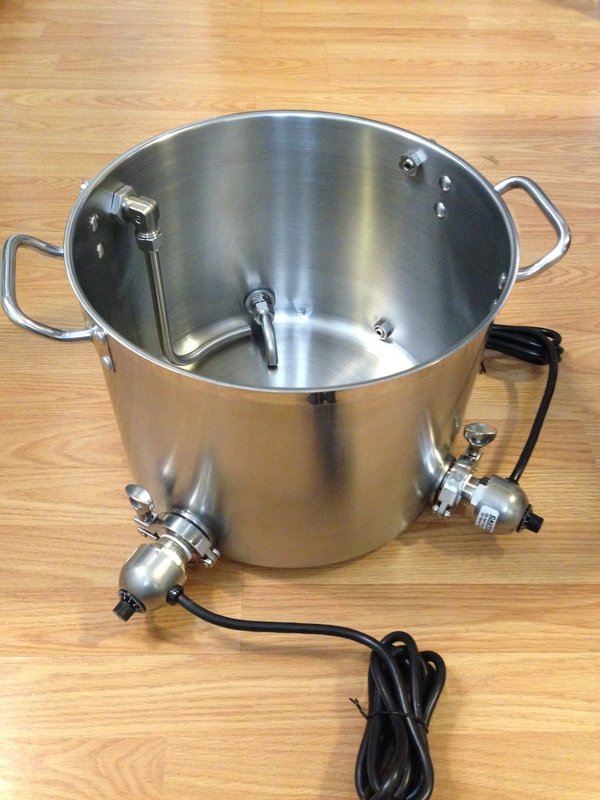 Today it has become a very popular alternative to the standard 5 gallon batch and many famous home brew suppliers have developed recipes and equipment kits. Ok this can work I thought but the more research I did there would always be the nay sayers with the “why waste your time brewing so little when it takes the same time to brew more?”. Well the part about taking the same time is pretty true but they’re missing the point. Yes it roughly takes the same amount of time to make several gallons of spaghetti but if it’s only me eating it then it doesn’t quite make as much sense. Same goes for brewing beer. And we don’t brew ourselves to save time or money, we brew our own beer for much of the same reasons that we cook food from scratch. Less expensive, some of the equipment you may already have in your kitchen and we are seeing an increase of brewing equipment specifically made for small batch brewing. Easy to do inside and in small spaces such as a studio apartment, almost everyone’s stove will handle boiling 2-3 gallons…a big plus when it is -10 outside with a 20 mph wind and you want to brew. The equipment needed can literally be kept in a small storage tote and stashed in a closet or under a bed. You can brew more often, experiment with different styles and recipes and still be able to keep up with consuming what you’ve made. Bottling is easier, a dozen or so bottles is no big deal compared to the 50+ bottles requires for a 5 gallon batch. Imagine bottling a 10 gallon batch in 12 ounce bottles! Less space is required to store those bottles while they condition. Kegging is still an option with kegs as small as 1.75 gallons now available and 2.5 – 3 gallon kegs that have been available for some time. Less of a monetary loss if that dry hopped Sriracha Raspberry Porter doesn’t taste as good as you thought it might. Scaling down existing recipes or creating new ones in any volume is easy with all the brewing software available for your computer, tablet or smart phone. The only real challenges are that sometimes the hop amounts are smaller than what we normally deal with so they require a scale that can measure smaller amounts such as down to .1 ounce and maintaining mash temperatures is a little more tricky since there is less thermal mass with less grain. Both of these challenges are easily handled, small resolution scales are available online and from many home brew supply retailers. As far as maintaining mash temps it is a lot easier if your mash tun is well insulated and sized for the batch, i.e. a smaller cooler instead of trying to do a 2 gallon all-grain recipe in a 40+ quart cooler. Going the BIAB method allows for the addition of small amounts of heat from the stove while stirring to easily keep the mash in the required temperature range. I use both the BIAB and regular all-grain methods without any real problems with batch sizes ranging from 1 gallon to 3 gallons. 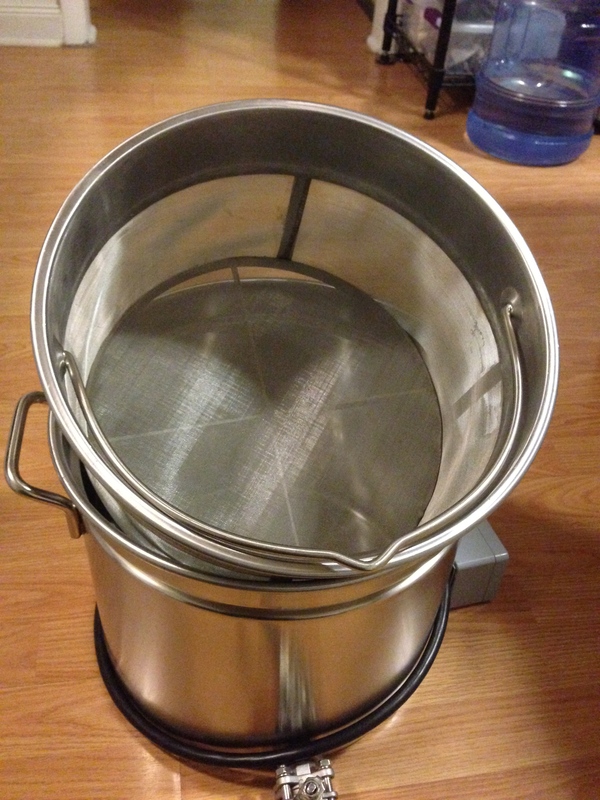 Think about it…Have you thought about home brewing but you don’t want to brew 5 or more gallons at a time? Are you, like myself, at a point where you want to continue brewing but have to re-evaluate you’ll continue your hobby? 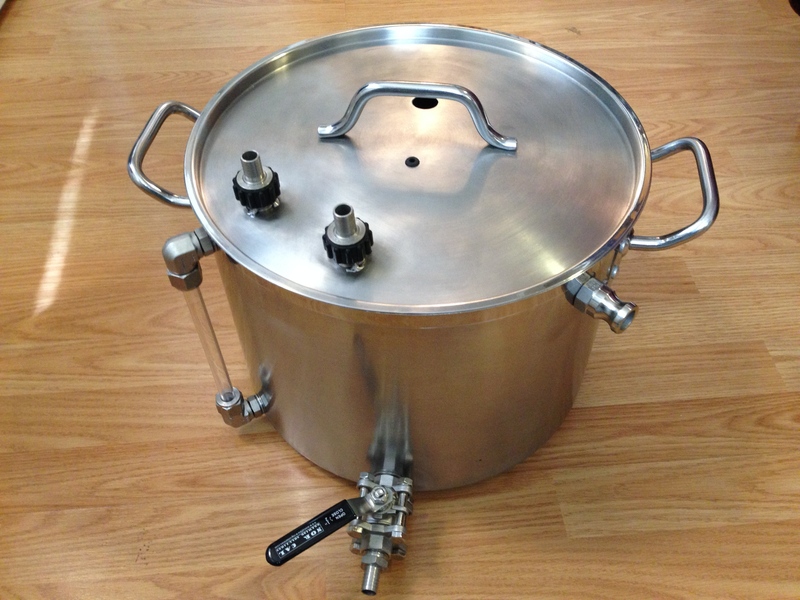 Are you living in a small space, want to brew your own beer, but think you don’t have the space? Consider small batch brewing. It’s a great way to get your feet wet in brewing, a great way to keep brewing when things in life change and many home brewers have come to small batch brewing and are staying here. The American Homebrewers Association and Brew Your Own magazine have more information on the growing trend in home brewing that isn’t going away. Visit The Brooklyn Brew Shop, Midwest Supplies and Northern Brewer websites, to name a few, to see some of what’s available for small batch brewing. After being a long time traditional all-grain brewer for many years I started reading about different all-grain brew techniques and decided to give BIAB (brew in a bag) a try. Since I was trying to streamline the brewing process while downsizing my brewery it seemed like a good direction to go. I designed a small batch recirculating electric BIAB setup and was pleasantly surprised with the results until one brew day a few weeks ago when I was brewing a two gallon Scottish Wee Heavy with a large grain bill even for a two gallon batch. Everything started fine but as soon as I started recirculating the pump went dry. Sudden panic set in and I quickly determined that the wort was not draining back through the bag and basket of my Bayou kettle quick enough for the pump. I tried an inline valve in the hose from the pump to the recirculation fitting in my kettle lid to throttle down the pump flow. 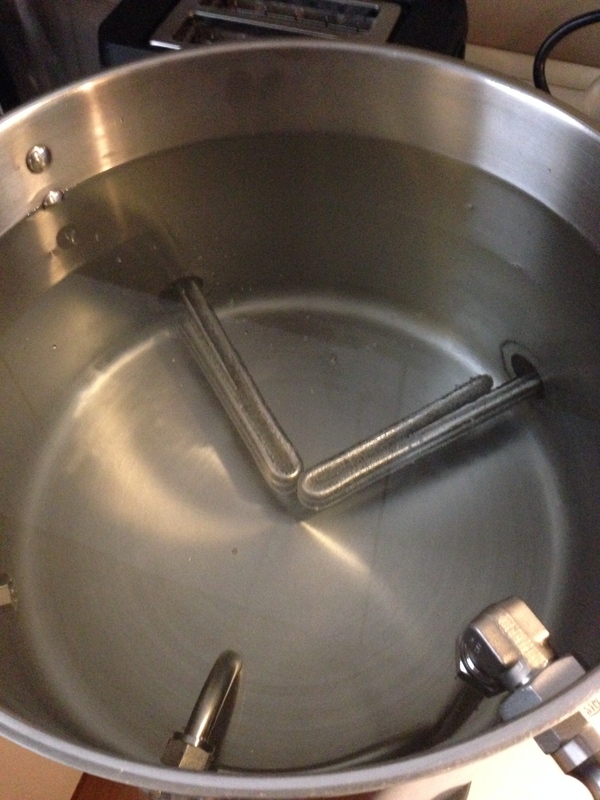 Still no go and the pump drained the wort below the basket quicker than the wort would drain back through the mash. Previous brew days with different recipes went flawless and I was able to recirculate running the pump full open but this was a big beer. Basically I had a stuck sparge but in the BIAB world. I limped through that brew day and the beer still turned out ok but I saw room for improvement because I like high gravity beers and didn’t want to go through this again. Started to break down the problem, it wasn’t the bag because everyone recirculating in the BIAB world was using bags made of Voile fabric. Could it be the space under the basket preventing the grains from being completely submerged, thus making a thicker mash? Maybe but I couldn’t really change that since the basket kept the bag off the heating element and it was as low as it could be. Then I started looking the diameter of the holes in the basket of the 24qt Bayou kettle, fairly small and overall not a lot of open area. Large Bayou kettles with baskets have larger holes and probably don’t present a flow problem but mine did. What to do? Enlarge the holes? That is a lot of drilling and enlarging a hole in thin sheet metal just makes a mess. 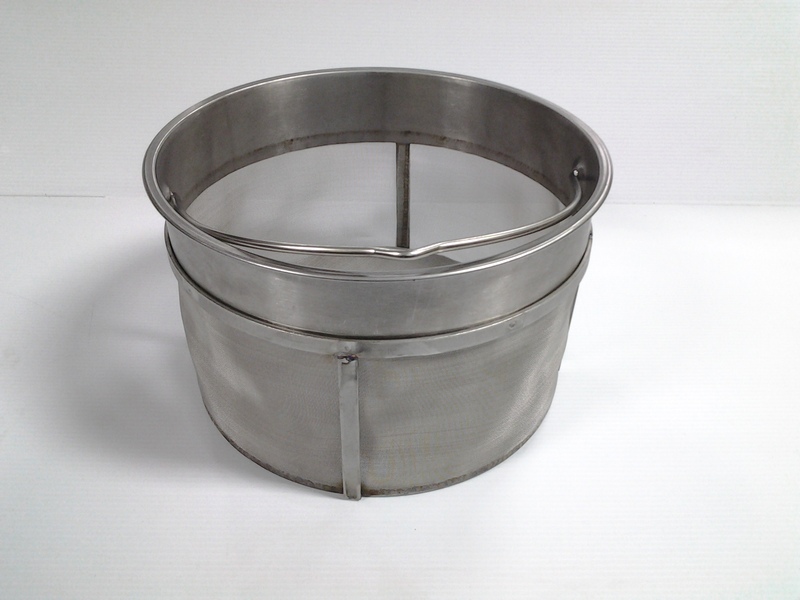 I remember seeing a couple folks on home brewing forums playing with the idea of making a BIAB basket out of stainless steel mesh and I had acquired a hop basket made out of stainless mesh from Arbor Fabricating and it had good flow through it so why not? Well I like how the Bayou Classic basket sits on a lip at the top part of the kettle and while making a basket that would sit on legs above the heating element would be possible I liked the original design. Then, while staring at the Bayou basket and my hop basket, I thought why not use the top portion of the original basket, remove the bottom part and attach stainless mesh in it’s place? Well I emailed Chad at Arbor Fabricating and after a phone call to discuss it I shipped my basket off to him to work his magic. After he received the basket he called and I explained what I was hoping for while he was looking at my basket and he said he could do it. He had it completed in a few days and got it back to me quickly. The quality of his workmanship is great and it was exactly what I wanted. Looking back it would have better for me to send the whole kettle to him so getting the best fit would have been easier for him but it still turned out awesome. Now to give it a test drive, well that would have to wait till my next day off. That day finally arrived and I chose another recipe with a large grain bill. I had my inline valve in place just incase but when I started the pump to begin recirculating I noticed that I was back to recirculating at full flow and never had to touch the valve. Problem solved and a bonus was that now I didn’t need a fabric bag any longer. Clean up was easy, after the 90 minute mash I lifted the basket out and propped it up to drain. Since the there is now more overall open area it drained very quickly. Dumped the spent grains into a bag and gave the basket a rinse with the kitchen sink sprayer and that’s it. 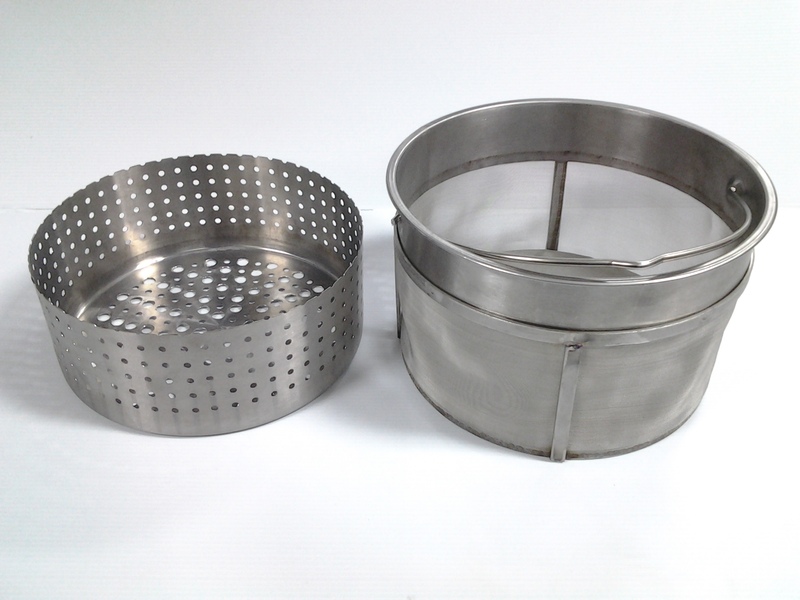 Moving to a stainless mesh basket for BIAB brewing has two definite advantages, no more bag and better flow through the grains and this is a definite plus regardless whether you recirculate or not. I whole heartedly recommend anyone considering it give Chad a call at Arbor Fabricating or click on the link below. He has built BIAB baskets for several different styles of kettles so this isn’t new to him and he will make it work for whatever you have. It is exciting to see other industries willing to explore how their services can relate to brewing and this is a great example. I solved my problem and ditched the bag.